Did you know that for the sake of bringing peace to Rwanda the Habyarimana regime had accepted to give 40% of the power to the Tutsis despite the fact that they only make up 14% of the Rwandans? Did you know that when RPF attacked Kigali the Rwandan population was only 6 million of which 85% are Hutus, 14% are Tutsis, and 1% is Twa people? Did you know that Kagame says that over 1 million Tutsis were killed during the genocide and yet Tutsis were only 14% of 6 million which brings us to 840000 of Tutsis? Did you know that the IBUKA a Tutsi organization in charge of Tutsi genocide survivors says that more than 500000 Tutsis survived in 1994? Do you agree with me that if over 500000 Tutsis survived out of 840000 then we are talking about 340000 Tutsis died not 1 million people as you and me are told by the Kagame regime? Do you agree with me that if indeed 1 million Rwandans died in 1994 and they include 340000 Tutsis then we have over 600000 Hutus killed in 1994 and are not recognized as the victims? Do you agree with me that US and UK put Kagame in regime in Rwanda in order to invade Congo to loot the minerals in DRC and it had nothing to do with the Rwandans people? Did you know that President Joseph Kabila of Congo is not a Congolese but a Rwandan and a cousin to the Rwandan defense minister Gen James Kabarebe? Did you know that all health sector in Rwanda is owned by the Clinton Foundation and Rwandans are forced to pay health cover not because the regime loves them but because they own the business and need clients? Did you know that Kagame owns two private jets fully paid by the Rwandan taxpayers at the tune of $60 million each? How would Gikuyu react if President Uhuru and Ruto were shot down from the sky by the opponent from NASA? Today I watched July Gichuru of Citizen TV and the Host of the African Leadership Dialogue in disbelief when she poured out lies to the social media about what really happened in Rwanda in 1990s. I cannot adminish her because I grew up to know her as a great person both in her work and also in really life. I remember when we visited her home in 2003 as Young Women Christian University Students and she host all of us with a cheerful heart. Apart from cooking for all of us, she shared with us Biblical fellowship and taught us about the biblical women of integrity. She advised us how to choose the future partners since most of us were in our late teens looking for love and future. I felt that was so important. From that time I continued looking up to her as my role model. I finished my studies at one of Christian universities in Kenya and got a good job as a political analyst with United Nations and later went to continue my studies in UK. I came to fall in love with this Kenyan man whom we met in School in Ottawa Canada who was both handsome and Godly man. I knew this what Julie Gichuru was talking about 7 years ago when we visited her home for ladies fellowship night. Now we have three children with him who are both Kenyan and Rwandans by default. Therefore, Gichurus presentations on social media regarding for someone who was calling for Kenyans to go the Rwandan way during the August 2017 elections have double meaning for me and my children. First no one would wish any country in this world to go the Rwandan way. I lived it and lost all my relatives during the Rwandan genocide and later lived in Kenya as an orphan. I speak most of the Kenyan major languages such as Kiswahili, Kikuyu, Luo, Kamba, and Luhya. This is because I went to schools in Rift Valley with people from these tribes and made many friends from them. However, I was shocked to watch Julie Gichuru talking about Rwanda regardless the facts that say to the contrary to what he talked about. The lies from Kagame no longer have any scientific backing because it is now widely known that actually Paul Kagame did not stop the Rwandan genocide but started it. Here is how Gichuru presentation today was all lies and proved that she did not do a good job researching about what REALLY HAPPENED IN RWANDA IN 1994. As much as I agree with you on the African Leadership Dialogue initiative and as someone who had watched u on the screen for over 2 decades. You have done a great job but forgot to effectively research on Rwanda and what really happened in Rwanda in 1994. I can give u a free lecture on Rwanda if u don't mind. However, we used to allow people who are ill informed about Rwanda 🇷🇼 like you tell our story in a crooked propagandist way but not any more. We survived the western sponsored Média machinery which was designed to tell a one sided narrative that propelled Kagame and his people to power and kept them there but not anymore. We survived the lies that made the deaths of our parents and siblings meaningless and subjected us to a second class citizen in our indigent land. Since I have been watching u on the screen 📺 for two decades for free now allow me to also teach u about Rwanda for free so that next time u don't misrepresent our history again out of ignorance to what really happen in Rwanda. As far as I agree with u that people died in Rwanda I don't agree with u on who are those 1 million people killed. Kagame and his western backers will tell u that those who were killed were Tutsis. As much as I respect and acknowledge the innocent blood shed of my Tutsi people allow me to let u know some facts for free. Both Hutus and Tutsis were killed in the 100 days u said. However the majority who died although I value all lives were not Tutsis but Hutus but u like so many propagandists and Kigalis sympathizers want us to believe as they have done in the past that 1million Tutsis were killed. It couldn't be far from the truth. I know I can be killed for shedding this light and opposition the lies. 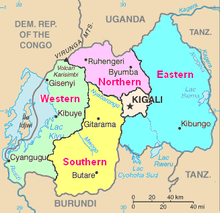 Rwanda has three tribes only unlike Kenya which has over 40 tribes. These tribes includes Hutus, Tutsis, and Twas. The Hutus are 85% of the people. This means 5,100,000 Hutus. Tutsis are 14% of the people, this means over 840000 Tutsis, and Twas are only 1%. This means 60000 Twas. 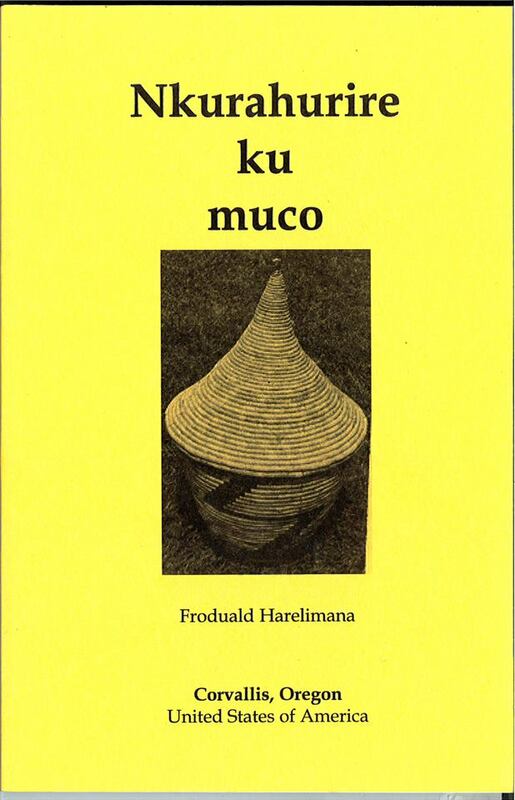 This is according to the Rwandan National Censors of 1991. Understanding these statistics help us know what really happened in Rwanda in 1994. According to the Rwandan Bureau of the Tutsi Survivors IBUKA which is the arm of the Tutsi led regime in kigali RPF, more than 500000 Tutsis survived the genocide. If 1 million Tutsis was killed in Rwanda and yet the entire Tutsi population was 840000 the entire Tutsi community would have been wiped out and still have 200,000 more Hutus died with them. However, Kigali cant defend this story. That is why they said that over 500,000 Tutsis survived in 1994. This means that out of 840000-500,000= 340000 Tutsis were killed. Rwandan Kagame tells us that over 1 million Rwandans were killed in 1994, which I agree with him. This means that 1000000-340000 Tutsis killed in 1994 we remain with over 660000 Rwandans killed in 1994. The question is who are these 660000? The answer is simple which a learned journalist like Julie Gichuru couldn't answer and yet it is a simple math. This 660000 who were killed in 1994 were Hutus. However you can manipulate statistics you will find that more Hutus were killed in 1994 than Tutsis. Then how come we still say that Hutus committed genocide against Tutsis and they are the ones who died most? The answer is simple because Bill Clinton and Tony Blair invested a lot in regime change in Rwanda in order for their companies to have access to mineral rich DRC. Therefore all Rwandans are the mere victims of Congo invasion and occupation. Dear Journalist Gichuru, when you say the perpetrators did not win the war that is the most hurtful statement that anyone can make to the victims of the brutal regime of RPF backed by USA to come and kill Rwandans. I have just shown that close to 700000 Hutus were killed by RPF in 1994. I know you have never thought about these statistics before because you consumed what the media told you. Now we both agree that more Hutus were killed simply because the Tutsis who had fled the republic independence because they believed that they could not stand being governed by the Hutus whose fathers used to be slaves and subjects for the 400 years of the Tutsi monarch. This makes me question the old narrative of that more Tutsis were killed in 1994. To help you learn more please visit the following academic resources about WHAT REALLY HAPPENS IN RWANDA IN 1994. Listen to Professor Allan Stam explaining scientifically what I have just told you up here that in fact RPF killed more Hutus than Tutsis claimed ot have been killed by the Interahamwe. After this you will also watch the BBC Documentary explaining how Paul Kagame started the genocide in order to come to power in 1994. When it comes to how many people killed in the Rwandan genocide there are many figures thrown around by the Western imperialists who wanted to position themselves geopolitically. First of all I would like you to understand that the war in Rwanda was not about Rwanda. It was about countries in the region which are rich in mineral resources mainly the DR Congo. Americans and Britians wanted to access the mineral rich Congo in order to loot. I would also like to remind you that the invassion of Rwanda happened during the time the world economy especially that of UK and USA was in turmoil and they needed where to steal to boost their economy. DR Congo was the target. However, there was one problem dear Julie. Rwandan president Habyarimana Juvenal was a close friend to the Congolese president Mobutu Sese Seko. They understood well that it was not easy to invade and loot Congo with the Hutu regime in place in Rwanda. They had already installed a Tutsi in Uganda who disguised himself as a ugandan Munyankole. This is president Museveni Yoweli. They needed how to remove Hutu regime in Rwanda which is the majority. Museveni who had fought in Ugana with the help of the Rwandan Tutsi refugees who had fled independence and republic into Uganda he introduced to Bill Clinton these young refugees who had fought in Uganda and were blood thirsty and ready to kill. Paul Kagame was Musevenis Chief of Intelligence and was a threat to the new regime of Yoweli Museveni. Therefore he wanted to get rid of them by sending them back home to Rwanda. I have to remind you that the Museveni Yowelis chief of staff was a Rwandan Tutsi refugee as well called RWIGEMA GISA FRED. Having two foreign top military leaders in the Ugandan new army was a problem for Museveni who had successfully lied to the Ugandan people that he was a Munyankole not a Tutsi from Kabuye, Kigali, Rwanda. That is how US helped museveni to establish a Rwanda Tutsi led rebellion called the Rwandan Patriotic Front (RPF). The aim for forming the RPF was to make sure that Rwanda and the region becomes an English speaking region and allow Americans and Britons to loot Congo without any remorse. This is what happened in 1994 RPF supported by US,UK and Uganda shot down the plane which was carrying two Hutu presidents Habyarimana and Ntaryamira. After committing this terrorist act the Americans gave power to the Tutsi from Uganda. The new government did not wait for long to invade DRC and install another Tutsi president Joseph Kabila kanambe whose father was a Rwandan Tutsi fled into DRC in 1959. That is a story for another day. But as I promised I wanted to help Ms Gichuru to go beyond the ordinary and research before going public and talk about things which she doesn't know well because it affects people from far and near in different ways. Here I have to remind you that the so called the father to President Joseph Kabila, the late president Laurent Desire Kabila was assassinated by James Kabarebe who is the current Rwandan Defense minister of Rwanda and the biological uncle to President Joseph Kabila. President Joseph Kabila was adopted by Kabila senior and taken to Tanzania as a refugee. 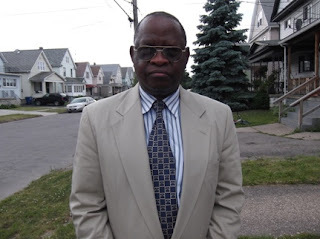 Lived in Tanzania until USA wanted to invade Congo that is when they started looking for the disgruntled Congolese living in exile and promised to give them power back into DRC if they pledged allegiance to the Rwandan US looting and occupation of DRC. To understand this you have to also understand the extensively and independently published information in the African media concerning the true identity of Mr. Hippolyte Kanambe by Jeune Afrique and others concerning the real father of Joseph Kabila who is reported to be a Rwandan called Kanambe and his mother a Rwandan Tutsi called Marcelline, who later became one of Laurent Kabila’s many wives, DRC Foreign Minister, Bizima Karaha (a leader of the Rwandan-backed rebel Congolese Rally for Democracy), described Hippolyte Kanambe alias “Joseph” as Laurent Kabila’s adopted child. 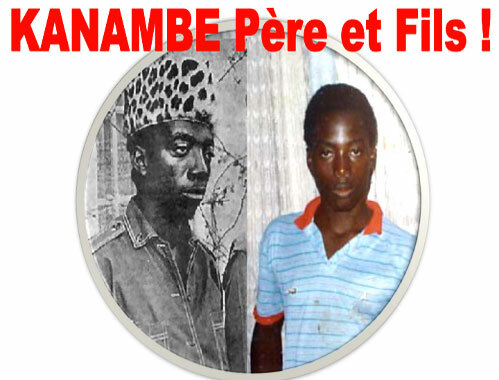 According to the witness to Jeune Afrique, "“When I saw Hippolyte Kanambe first in Kisangani in March 1997, he was Commander James Kabarehe’s driver, and was presented as the commander’s nephew." Hippolyte Kanambe served in the Rwandan army in 1995. Several witnesses also stress the indisputable fact that Hippolyte Kanambe alias “Joseph Kabila” is fluent in kinyarwanda, the lingua franca of Rwanda. THIS IS THE INFORMATION I THOUGHT I SHOULD SHARE WITH GICHURU SO THAT SHE DOES NOT CONTINUE TO PROPAGATE THE IMPERIALISTS LIES THAT HURT THE RWANDAN REALLY VICTIMS. Come to be surprised that actually more Hutus were massacred by RPF in 1994 than Tutsis killed. So how come it's called the Tutsis genocide a name coined and pushed by UN later? Because Clintonites and Blairists wanted to hide their hands in terrorist acts of shooting down a countries plane ✈ and fake genocide was the only escape of justice. 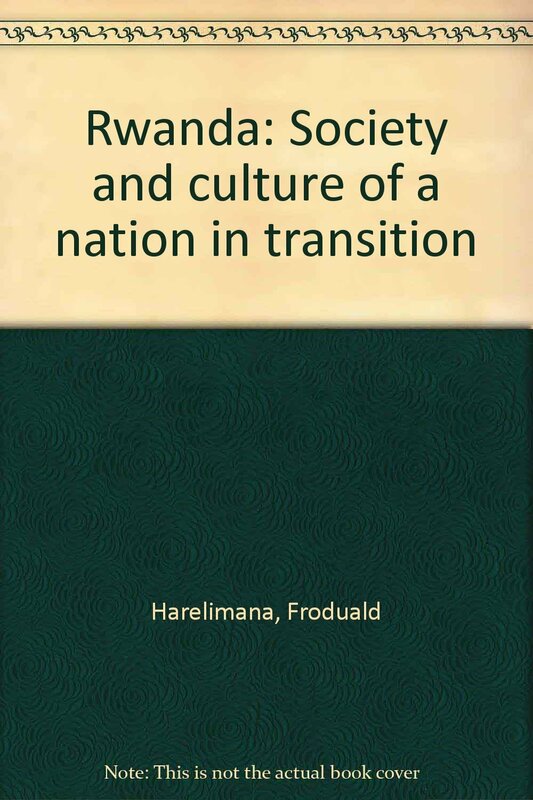 HERE ARE ACADEMIC WORK FROM PROFESSOR PETER ERLINDER CALLED THE RWANDA DOCUMENT PROJECT (Click here). Recently a news broke out in the media and social media that bring together Rwandans around the planet talking about the kidnap of a Tutsi businessman and also a Rwandan spy MIKE RWALINDA. According to different news media owned by Rwandans Rwalinda is currently under the Tanzanian police arrest in Tanzania waiting to be deported to Rwanda which owuld also be what Rwanda is hoping for. RWALINDA has been working for the kigali Tutsi led intelligence for over 10 years. he has also been in charge of Rwandan spy operation based in both Dodoma and Dar Es Salam. According to those who know Rwalinda were is that he was in charge of the 600 Tutsi women spies that Kagame had sent to Dodoma and Dar Es Salam to influence the Tanzanian legislatives policies toward Kagame led regime. He was also in charge to assist a Rwandan Tutsi who was working in the Tanzanian army as a Tanzanian Military IT expert. This guy used to send all Tanzanian intelligence to Paul Kagame. This is what helped Kigali to send more than 600 Tutsi women working as "Espionage of Romance" or Spies of Passion. They use their beauty to lure rich Tanzanian politicians especially members of parliament to pass laws that favor Kigali and betray their Asili ya Ujama. It is also believed that Mike Rwalinda is the one who planned and executed the death of the Tanzania’s most popular opposition members, Reverend Christopher Mtikila who died in a mysterious car crash. The outspoken politician and a critique of Kagame's regime had a reputation for voicing his opinions and using the courts to tackle various constitutional issues over the years. Rev Mtikila revealed the Kagames plans to overthraw CCM through former prime minister Edward Lowassa. All this was engineered by Mike Rwalinda and Rev. Mtikili was travelling to Dar es Salaam from Njombe when Rwalinda staged a hit and run accident that left Mtikili dead. Mike Rwalinda also is married to a Tanzanian woman whom they have two children together. This helped him to establish contacts in Tanzania and use the RPF money to start a construction company in TZ as a cover up to continue spying for Paul Kagame in Tanzania. All the money to bribe Tanzanian politicians so that Tanzania can have a pro Kagame government has been passed through Mike Rwalinda and the group that own HOTEL KAGAME. The money that built HOTEL KAGAME was the money that had been poured into Tanzania to pay Rwandan Tutsi prostitutes who had been sent to Dodoma by Nziza to come and destabilize Tanzania. During the last Tanzanian presidential campaigns the Rwandan dictator Paul Kagame invested hugely into the Tanzanian politics. He wanted a change of regime in Tanzania. Because it was not easy to engage in military fight as Kagame had hoped for after the Tanzanian security apparatus uprooted all Kagames point men and women in the Tanzanian government. Kagame decided to use the taxpayers money to bribe his way into the Tanzanian politics. Kigali poured more money into the Edward Lowassa campaign when they realized that CCM government had known it they opted to throw him out of CCM then Lowassa joined opposition to shake up CCM. Mike Rwlainda was part of the entire maneuvers. Recently the Tanzanian government has realized that Kagame has been playing them games with Rwalinga now they have arrested him and Rwanda want him back. How did all happen? According to INYENYERI NEWS investigation found that Mike Rwalinda has been working with both the Rwanda National Congress (RNC) a Tutsi led opposition to Paul Kagame living in exile and the RPF General James Kabarebe who is also the minister of the Tutsi led Kigali government of the RPF. In addition, the newsonline continues its stroy saying that Gen James Kabarebe has also organized the arrest of Maj Nkubana who was arrested in Tanzania and later deported to Rwanda. Another person mentioned in their story is that the arrest of Lt Tobulende Joel Mutabazi in Uganda was also organized by Mike Rwlainda together with Rene Rutagungira, Kalisa Innocent among others. Rwalinda also has been smuggling gold from Eastern DRC into Tanzania. The business of gold trade has been taken care of by his Tanzanian concubine they have two kids together. DUring this arrest the Tanzanian security services found Mike Rwalinda with guns as well. After the Tanzanian government knowing that Mike Rwalinda might be one of those who organized the wrongful death of Reverend Mtikili who was killed in car accident as we have mentioned in hereabove. President Kagame hated Rev. Mtikili because the guy called upon the Tanzanians to understand that there was invasion of Paul Kagame into the Tanzanian system. He also wanted Tanzania to support Rwandan Hutu refugees to go back home so that we dont continue receiving Hutu refugees in Rwanda and yet Rwanda is led by Tutsi minority who took power by force supported by Americans. The Tanzanian police continue to say that Rwlainda is still under interrogation and questioning. Rwalinda has been working for Kigali under the instructions of Gen James Kabarebe. To deport him to Rwanda would be to commit the same mistakes that the South African government committed when they deported to Rwanda those who assassinated Colonel Karegeya. We hope that Tanzania will be more careful this time around. Although Magufuli went to Kagame Tutsis never forgive and never forget. RPF still does not like CCM and wont rest until CCM is removed from power in Tanzania. WIKANURA AMASO NGO KAGAME ARI KUTWICA: Birababaje kubona dufite abasore besnhi birirwa bicaye bimyoza ngo Kagame ari kubica. Ese ntiwaruziko turi benshi. Haguruka namugenzi wawe twibohoze. Ntidukeneye imbunda kuko Kagame yazituguriye. 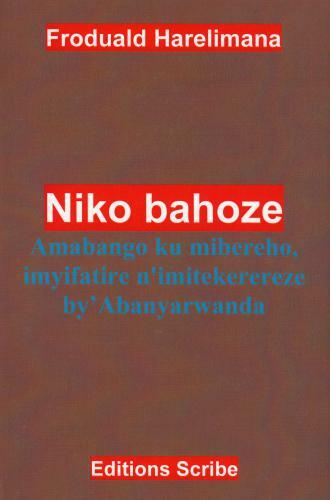 Niduhaguruka azarasamo batatu batanu bazakomeza bamufate mpiri abana bacu bature u Rwanda badahejwemo. Naho rero ntukanure amaso ngo undi azaza akubohoze. BAMAZE KUZUZA IBIFU NTIBIFUZA KUBITA NGO BASUBIRE ISHYANGA: Inkotanyi zaje zikuruye imijosi banuka nkudusamunyiga zamaze kwagura ibifu. 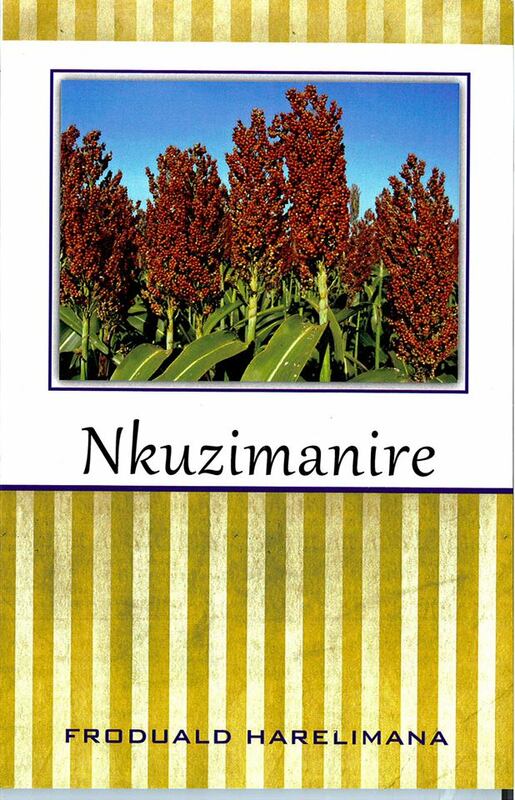 Ntizizashobora kwiruka. Nahorero tuzazifata mpiri imwe imwe maze tuzijya kuri stade amahoro tuzicire urubanza. Wowe wikanura amaso ngo zirakomeye kuko urebye umudigi wa Kabarebe ulimo uburwayi bwinshi.Musore haguruka twibohoze. UBWINSHI NIMBARAGA SUBUGWARI: Haguruka vuza akamo hamagaza bene SEBAHINZI aho batuye hose haba umisozi nomumanga haba mubibaya no kukarubanda haba mubikingi ndetse no mubikombe bahamagarire gutabara. Babwire ko turi MILIONI 8 Muri milioni 10 zabanyarwanda. Tuzazifata mpriri imwe imwe. Wikanura amaso ngo undi azagutabara niwowe ubwawe uzirengera uzifate mpiri. UWIGIZE AGATEBO AYORA IVU: Nitwe twihaye zino ngegera ngo zidutegeke. Mbibutse ko harabahutu babagambanyi balimo TWAGIRAMUNGU RUKOKOMA, KANYARENGWE ALEXIS, GASANA ANASTASE, THEOBALD GAKWAYA RWAKA, HABYARIMANA EMMANUEL MUKARU, NOHELI TWAGIRAYEZU NABANDI BESNHI ABA NIBO B ATUMYE INYENZI zifata igihugu maze ingoma ya Kalinga iragaruka. Naho rero haguruka mwana wu Rwanda urwanire uburenganzira bwawe. KUKI WAKOMEZA GUTURA AMATURO UZI NEZA KO UMWANZILIMO KUYAKORESHA KUGURA INTWARO ZO KUKWICA: SIGAHO ntukigurire ikikwica amatorero yose yabatutsi atanga imisanzu mukigega cyiswe GUSIGASIRA INGOMA KALINGA BY IGIHE IGIHUMBI (GIKALI1000). ICYO kigega niho ibigo byose byabatutsi bikura amafranga yo kwifasha kwigisha abana babo mumashuri meza nokubagaburira mugihe wowe ulimo kurindagira. WIKANURA AMASO HAGURUKA WIRWANEHO. Kagame abeshya abakiga ko yabarinze intambara nabo bakamubeshya ko bibagiwe ababyeyi babo yiciye mubuvumo bwa mahoko baririmba "nda ndambara yandera ubwoba ko iyarinze kagame nabo izabarinda. Muyandi magambo bamubwira bati imbunda wakoresheje utwicira ababyeyi nazo nizo tuzakoresha twihorera. Icyiza cg se ikibi kiranga abanyarwanda nuko arababeshy. Ikindi kandi icyo ingoma yabatutsi yatwigishije nuko twese twabaye ba hishamunda. KAKAGAME NABATUTSI BENE WABO BATWICIYE ABABYEYI: Ntamuntu utuye gisenyi ari umuhutu FPR cg se Kagame nabatutsi benewabo baticiye umuntu mumuryango we. Icyo kintu ntitwigeze tukimubabarira ntituzigera tukimubabarira kandi ntitwamuririmbira NDANDAMBARA ARIHO DUTEZE KWIHORERA. KAGAME YATEJE AKAGA ABANYARWANDA CYANE CYANE ABO MUMAJYARUGURU: Kagame nabatutsi benewabo umuntu wambere banga numuhutu wese aho ava akagera. 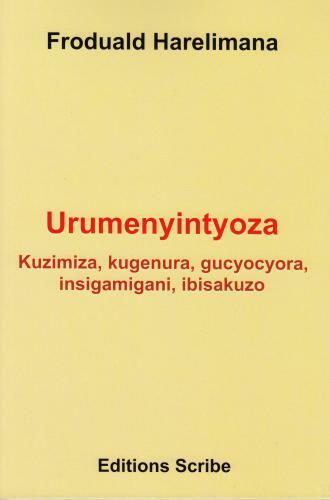 Umuntu wakabiri banga kurusha abandi banyarwanda n UMUHUTU WUMUKIGA (Byumba, Ruhengeri, na Gisenyi). KAGAME NABATUTSI BE UMUNTU WAGATATU BANGA KURUSHA ABANDI NUMUHUTU WO MURI RUHENGERI NA GISENYI (BURERA, MUSANZE, BUHOMA, NYABIHU NA RUBAVU). Kubera iyi mpamvu ntanumwe wamuririmbira NDANDAMBARA yibuka Amagufwa yabacu atatanye hirya no hino mukarere. TUZATUZA ARUKO INDUMBI YE IGARAMYE KUKARUBANDA. KAGAME ATERA URWANDA YASHAKAGA GUKURAHO INGOMA YABAHUTU AKAYIRIMBURANA NIMIZI. IBYO ARIKO NTIYAGOMBAGA KUBIGERAHO ATISHYE ABAKIGA BOSE AHEREYE KURI PREZIDA HABYARIMANA JUVENAL yabonagako ahagarariye Abakiga. Iki kintu ntitwigeze tukimubabariraho naho zaba itanu zikibumba zikaba umuntu ntituzigera tumuririmbira bivuye kumutima tuzabikora kumbunda yahawe nabanyamerika nibagenda tuzishima kundumbiye . KAGAME NABATUTSI BE BARATWISHE BARANGIJE BAJYANA AMAGUFWA YABABYEYI BACU KUYANIKA MUKABATI MURI ZA MUMAZU NDANGAGACIRO KABATUTSI. Ibi ntitwabyibagiwe. Ntitwibagiwe ukuntu abasirikali ba FPR wasangaga badutabuza amagufwa kungufu bakatubwira ngo tuyoze kandi arayababyeyi bacu. Nyuma bakayajyana kuyashira mutubati i Kigali kugirango abazungu babahe amafranga twe dukanuye amaso inzara itwica kandi ari ababyeyi bacu batanditse mutubati naza etajeri. KAGAME YANGA BAHUTU BOSE URUNUKA AKABA YARASHIZEHO GAHUNDA YO KUGARURA INGOMA YA BENE KANJOGELA. Abakiga ntibigeze bayoboka ingoma zabashondori naho Rucagu na Mitsindo Fidele mwene Nsekalije bakuyoboka incuro igihumbi. Abagoyi ntituzigera tugoreka imitima yacu ngo turirimbire umwanzi wacu nyambere. KAGAME AHEJEJE ABAHUNGU BACU ISHYANGA mugihe yimitse bene kanjora abana bacu barara rubunda mumashyamba ya kongo. 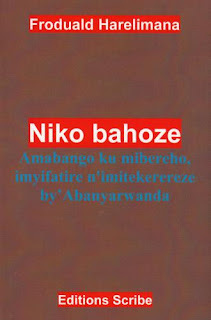 Ntitwibagiwe FDLR nabana bayo biyemeje kuyoboka ishyamba aho kuyoboka umwanzi ruhagwa akabamacinya yaje kuyogoza u Rwanda. Ntitwigeze tiwbagirwa ko abana bacu bambariye urugamba kandi biteguye gutangiza INDAMBARA ngo badukize umwanzi wacu wa kera ariwe KAGAME NABENE KANJOGERA. NTITUYOBEWE KO UMUTI WA PAUL KAGAME ARI FDLR. Ntituzigera tugurana urukundo dukunda RWARA RW UMUGARA RUBUNDEREYE ISHYAMBA BUZAKERA RUTAHANE ISHEMA TUGARIKE INGOGO INDUMBI YA RWABUJINDIRI IGARAME KUKAGARAMA. INYENZI AJE KUTURIMBURA. UMUGAMBI WUMUTUTSI AFITIYE UMUHUTU NUKUMURIMBURA. USIGAYE UTAGIRA UBWENGE AKABA UMUCAKARA WABATUTSI MUMYAKA 500 INDI IGIYE KUZA IYO NIYO GAHUNDA YABATUTSI YATANGIJWE NA PAUL KAGAME. ABAGOYI NTITWABYIBAGIWE KO abatutsi bagamije kutunyunyuza imitsi barangiza bakatwica. Turirimba umurenzaho ngo turamuke dutegereje intwari zagu RWANWA RWUMUGARA RUBUNDEREYE MWISHYAMBA. Umusi batashye kuruhembe rwicumu tuzaririmba NDANDAMBARA. So many well meaning scholars and a number of self appointed experts have written books, research dissertations and news articles about the Rwandan genocide. The general narrative which has been spread is that for no apparent cause, Hutu people of Rwanda cracked down on their Tutsi neighbors and killed them. But it did not happen like that. There were remote and immediate exogenous and endogenous developments, which put the two main ethnic of Rwanda on a collision course. The blood bath was the product of combined historical, economic and political factors, which spiraled into communal violence following the four years war unleashed on the people of Rwanda by Rwandan officers of the Ugandan army, and the destruction of the Rwandan presidential jet, transporting the Presidents of Rwanda and Burundi and their delegations. 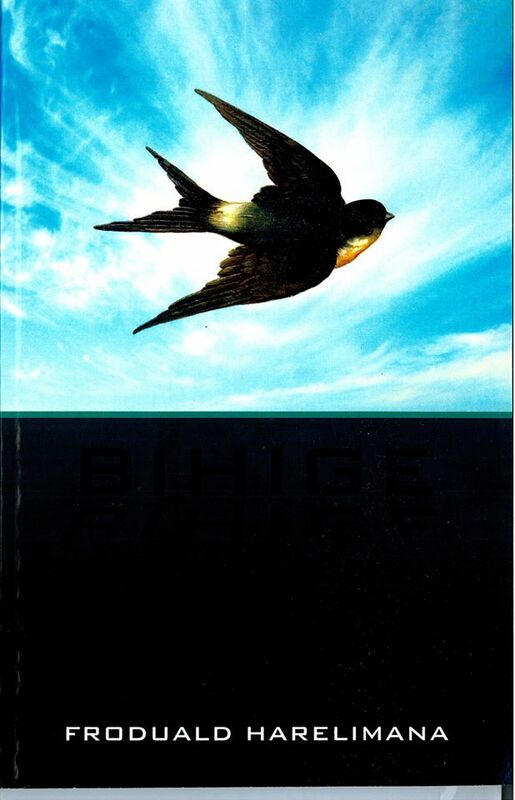 This book will walk the reader across the meanders of African colonial scramble which forced expanding Rwanda into unviable territorial enclave at the turn of last century, the demise of traditional methods of government and customary law and their replacement of written European types of penal codes, the introduction of monetary economies and the drive of Western global powers to enlist the services of client African governments to stop the sweeping expansion of Islamic proselytism in sub- Saharan Africa. These were the contributing factors of the Rwandan tragedy. The reader will get what the author has seen and heard first hand, from his privileged vintage point first in the office of the President of Rwanda and then as a senior diplomatic staff posted at the headquarters of the African Union in Addis Ababa. He is proposing neglected aspects and unexplored features of the tragic events, before and after April 1994, with the hope that Rwandans will now come to owning their national history and that the court of public opinion will be able to reach a more balanced judgment of the situation, beside the politically motivated sentences handed down by the International Criminal Tribunal for Rwanda and some other national jurisdictions. The author, Nsengiyumva Celestin is a former journalist of Radio Rwanda’s French desk and a stringer for Agence France Presse (AFP). He is also a former director of bilateral relations in the Ministry of Foreign Affairs and Cooperation,-the position he left to become director for international cooperation in the Office of the President. 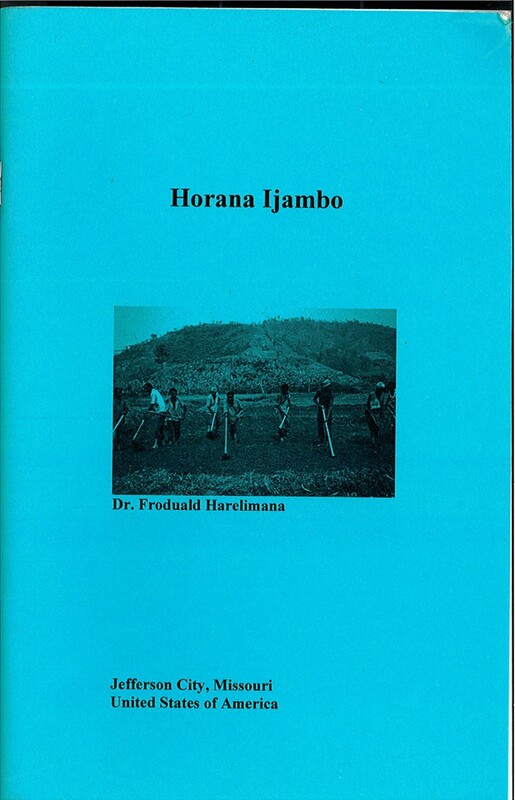 For 8 years, he was President Habyarimana’s official interpreter. He later was posted as senior embassy staff in Addis Ababa, Ethiopia which is Africa’s diplomatic hub. From that vintage point, he closely followed the proceedings of the Organization of African Unity and the United Nations Economic Commission for Africa. In the early 1990’s, the Ethiopian capital was then the theater of intense diplomatic maneuvering involving global powers, as they positioned themselves for strategic partnerships not only with Africa as a whole, but also with each of the five sub regions (North, East, South, Center, and West). He was a refugee in Ethiopia for 10 years before relocating to America, as his urban refugee status in Addis Ababa had deadlocked over legal issues. He lives today as a freelance translator and a community interpreter in the North-West of the US State of New York. Joseph Kabila, whose real name is Hyppolite Kanambe Kazemberembe, was born on June 4, 1971, of a Rwandan father named Christopher KANAMBE and a Rwandan mother Marcelline MUKAMBUKUJE. His father was an opponent of former Rwandan President Juvenal Habyarimana. He met Laurent Désiré KABILA, an opponent of former Zairean President Mobutu, in the resistance movements based in the mountains on the Rwando-Zairian border, where they fought against their common enemies: MOBUTU and HABYARIMANA. 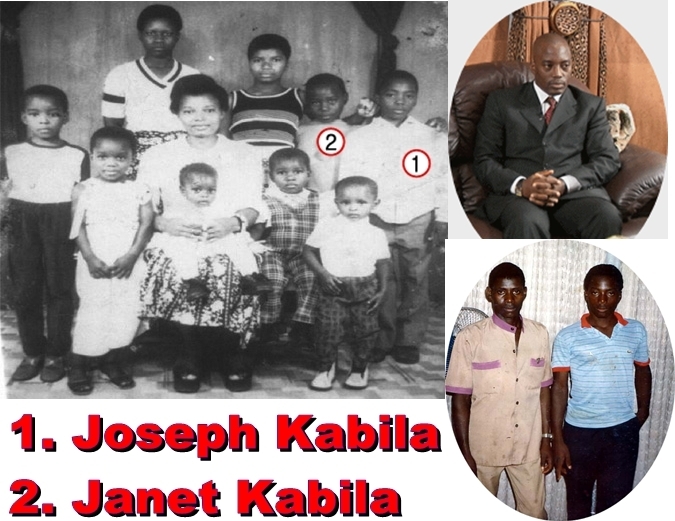 After the death of his friend Christopher Kanambe in 1977, Laurent Désiré Kabila is married (according to traditional customs) to the widow of Christopher Kanambe, Marcelline and adopts her two young twin children, a girl and a boy: Jenny KANAMBE and Hyppolite KANAMBE. 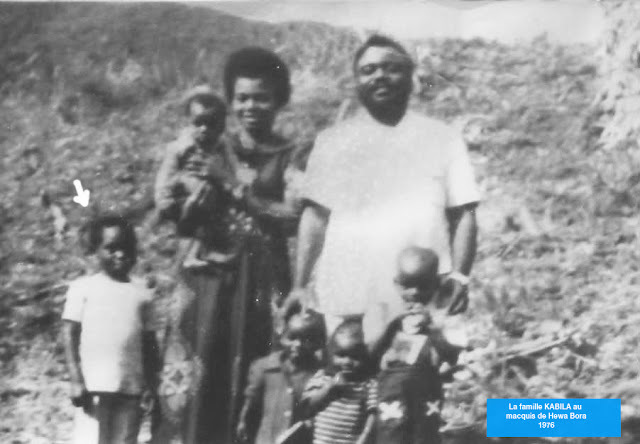 LD Kabila, who had several women (over 13 -) when he went into hiding and had a number of children (over 25), had no time to take care of Hypollite Kanambe And her sister Jenny. As he was not able to finish his studies beyond the secondary level, the young Hyppolite Kanambe was forced to do several jobs, among which "taximan, barman, mechanic, salesman ..." in the cities Tanzania in Dar es Salaam and Kigoma. In effect, his "adoptive father" (LD Kabila) lived with his entire family in exile in Tanzania during the childhood and adolescence of Hyppolite. 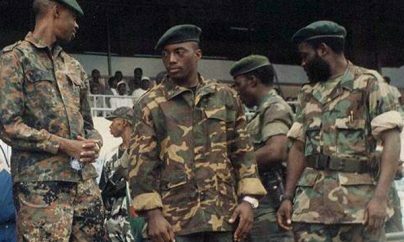 Kabila spent more of his time in exile in the trafficking of gold and diamond rather than fighting against the Mobutu regime; Which often led him to cross the forests and mountains of Tanzania, Burundi, Rwanda and Uganda, to carry out his fraudulent business. 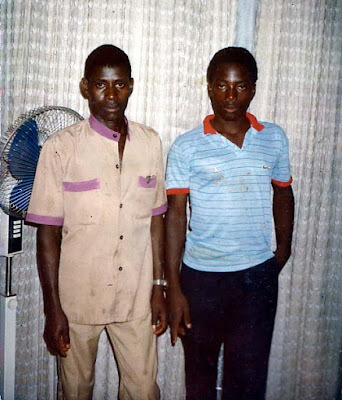 In 1995, Hyppolite Kanambe decided to return to his homeland in Rwanda, where he was welcomed by his uncle James Kabarebe, the Colonel and head of the intelligence services of the Rwandan Patriotic Army (APR), who welcomed him to his own home . Initially, Kabarebe finds for his nephew a job as "driver" of a delivery truck and freight transport in Kigali, before using him as his private driver. In 1996, when the Americans launched their military operation to prepare for the invasion of Zaire, Paul Kagame appointed Colonel James Kabarebe as Chief of Military Operations and responsible for the "Zaire File". He oversees the recruitment and training of new recruits from the military base. Thus, he inserts his nephew Hyppolite Kanambe into the training program, in order to incorporate him, at a later stage, in the operation of the invasion of Zaire which has begun. Hippolyte Kanambe served in the Rwandan army in 1995. Several witnesses also insisted on the indisputable fact that alias Hippolyte Kanambe "Joseph Kabila" is fluent in Kinyarwanda, the vernacular language of Rwanda. These dark areas on the death of Laurent Désiré Kabila that no one wants to enlighten, have already poured a lot of ink without the mystery that surrounds them is unveiled. Far be it from us to provide here the hidden causes and definitive identity of the true authors of this tragedy which now makes Congolese politics a saga. However, while discovering some circumstances that preceded and followed the tragedy of the murder of Laurent Desiré Kabila, up to the rise of Joseph Kabilaau summit of the State, we can only be worried by the concordance, the Coherence and convergence of these facts that place him at the center of suspicion. Mrs. SIFA Mahanya, misrepresented as the biological mother of Joseph Kabila, is Congolese, and is one of the many "wives" declared or known to LD Kabila with whom she had 6 children named Joséphine, Cécile, Masengo , Gloria, Kiki and Maguy. Mrs. Sifa lived with her husband in the Marble Palace, the official residence of the Head of State when at the end of October of the year 2000, Laurent Désiré Kabila has severe discomfort after a meal. Immediate medical examinations diagnosed poisoning. Investigations by presidential security personnel raised a series of serious clues that converged on Mrs. SIFA, who was accused of attempting to assassinate her husband and was immediately arrested on the orders of LD Kabila and imprisoned in the prison. Makala in pavilion N. 10. Behind the back of LD Kabila, Joseph Kabila organizes the exfiltration of the prisoner of his cell, with the complicity of the director of the prison, Mr. Kelly DIDO KITUNGUA. Ms. Sifa Mahanya is immediately transferred secretly to Lubumbashi where she is housed in a secret place. The day after Ms. Sifa Mahanya's exfiltration, Joseph Kabila contacted his "father" who was about to fly to Cameroon to participate in the French-speaking World Summit. Joseph advised Laurent Désiré Kabila not to go to Cameroon on the basis of reliable information in his possession, information thesystem of a conspiracy against the president of the DRC. Laurent Désiré Kabila who trusts his "son" cancels his trip to Cameroon. From Lubumbashi, where he was, the head of state returned directly to Kinshasa. -Act IV: Kinshasa, January 15, 2001: Joseph Kabila orders the disarming of the garrison of Kinshasa, then leaves hastily in Lubumbashi. The day before the drama, at the behest of Joseph Kabila, all the FAC soldiers of the Kinshasa garrison are disarmed without any explanation. 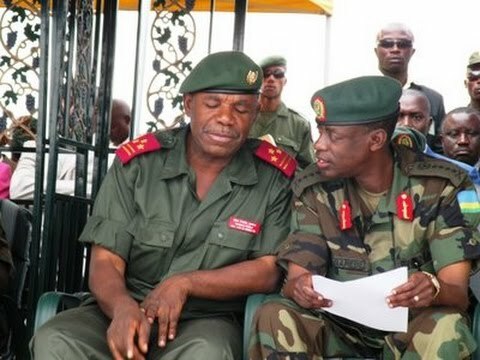 In addition, Colonel Eddy Kapendu received strict orders from Joseph Kabila to arrest the head of the External Intelligence of the (ANR / DE), Mr. Ismaël Tutwemoto. It is Mr. Leta Mangasa, the general-in-chief of the ANR Chief Administrator General who executes this arrest. After taking all these apparently "inexplicable" measures, Joseph Kabila flies quickly and discreetly to Lubumbashi from where he makes a mysterious journey outside the country. In the middle of the day, shots are heard at the Marble Palace, the presidential residence. 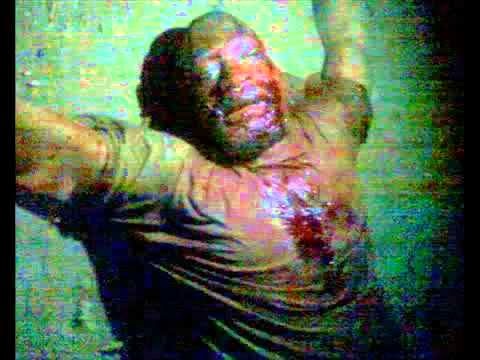 Laurent Désiré Kabila is seriously wounded in the head, dies shortly after, even before being loaded on the helicopter that transports him to the private hospital Ngaliema. It was at nightfall that Joseph Kabila gave the order to open N'Djili airport closed since the announcement of the coup attempt, especially for him, to allow the landing of his plane From Lubumbashi. This behavior of Joseph Kabila seems strange at the very least. How is it that a "son", who closely follows the safety of his "father" until the day before, and who advises the cancellation of his trip to Cameroon, because an imminent mortal danger would be projected, and curiously "Son" was kept cloistered in Lubumbashi, only 2 hours flight from Kinshasa, and joined the capital that at the end of the day, several hours after the death of his father? Where had he spent the day? What was he doing all this time? Where did it really come from? Was Lubumbashi not a diversion? So many questions about the underlying causes of the death of Laurent Désiré Kabila should have been examined. However, we have worked for years to know the truth, and today, many recorded testimonies are examined. The formal testimonies of the Congolese medical personnel who had received the body Laurent Désiré Kabila on landing the helicopter strongly confirm that the Congolese president was dead before his arrival at the private hospital. However, Joseph Kabila, who had taken control of operations around his "father", ordered the transfer of Laurent Désiré Kabila's body to Harare in Zimbabwe. He then multiplies deceptive statements addressed to the Congolese people to persuade him that his president was thus alive. Dominique Sakombi knows a lot about this, since the one who informed on national television the trick. On the contrary, Louis Michel, then Minister of Foreign Affairs of Belgium, was the first to announce the death of LD Kabila on 16 February around 11:00 am "TU": how a Belgian foreign minister in Brussels knows Of the death of the president of a country which is 8000 km away, and announces his death before everyone else, while the official bodies of this country deny the news? Why this masquerade and these macabre movements around the mortal remains of a President of the Republic? Another mystery! 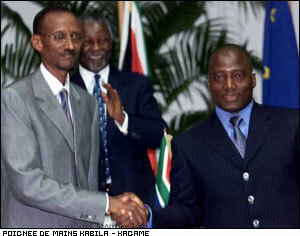 But the detailed record of the assassination of Laurent Désiré Kabila will be the subject of another instruction. * LAW VI: Kinshasa: During the funeral, Sifa Mahanya is presented to the public as a "tearful widow", then as "biological mother" of Joseph Kabila! During the funeral of Laurent Désiré Kabila from Harare and until 23 January 2001, with the funeral in Kinshasa, Mrs. Sifa Mahanya, the prisoner exfiltered from her cell five days before the assassination of M'zee, hidden in Lubumbashi So far, gets out of hiding and is propelled to the national stage. She is suddenly presented to the national and international press as the "tearful widow" of the deceased president, and the biological "mother" of Joseph Kabila who has just taken the place of her "father" under conditions we know. Laurent Désiré Kabila has never officially shown the "first lady" to the Congolese people in his life, throughout the war and during his tenure as head of the country. In other words, his official wife among his dozen women, and the one who was presented as "the grieving widow" was exfiltered from the prison where she was detained for attempting to assassinate her husband by poisoning. And the author of this exfiltration is the very one who took the seat of the victim, and for whom Sifa gives for the first time the honorable testimony of being "his biological mother." The development of this scenario from start to finish contains vulgar errors that call on all Congolese to question themselves about the tragedy that the Democratic Republic of the Congo is going through.